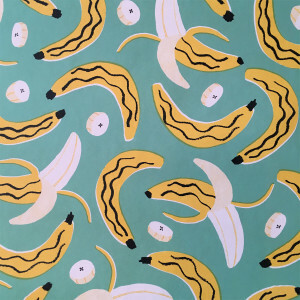 A Top Banana is a banana decorated with markings that are tribal, purposeful and meaningless. The marks are drawn in biro and are based on the emerging patterns of decay in the banana skin. A Top Banana is great to pull out of your lunchbox at work to impress, or intimidate, your colleagues. Please email the artist at rebeccagreen1@mac.com if you would like one.